Tax Day is soon upon us and we hope everyone got a nice refund this year. As Benjamin Franklin once wrote, nothing is more certain in life than death and taxes. 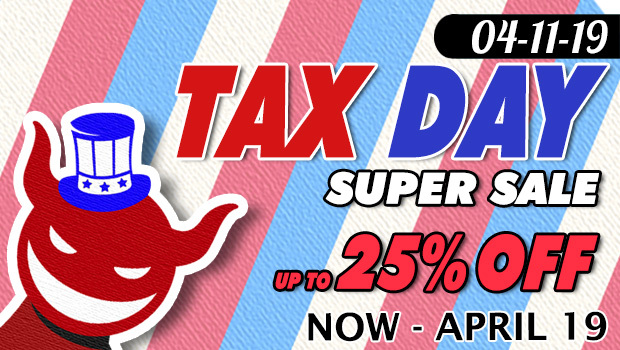 ToyDemon is certain that our Tax Day Super Sale being one of the biggest sale of the year is sure to bring some joy for everyone. From now until April 19th 2019 at 12pm (Noon) Central time, we are giving 20% off almost everything on our website (excluding Pre-order items) using code: tax20. How can we make this any sweeter? Buy 4 or more items and get 25% off using code: tax25 ! Simply apply the discount code on the side cart to take advantage of the sale. Spring is finally here and we hope the weather is warming up where you are at. We haven't had a Spring Sale for the past couple of year so there's no better time than now. ToyDemon Spring Sale is live with the following deals. 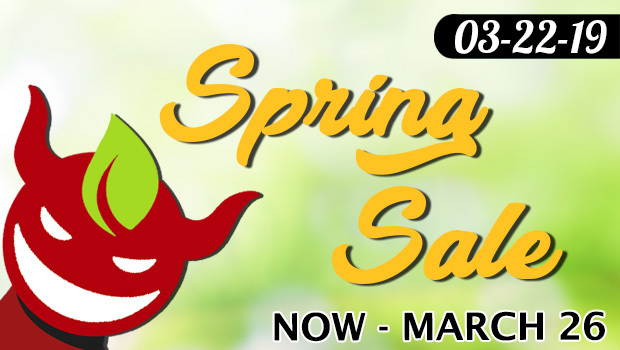 Not only is ToyDemon having a Spring Sale(one of the biggest sale of the year), we are also making this sale No Coupons Needed. That means you can use a coupon code on top of the big discounts. This sale is only available for a limited time! Sale ends 03-26-2019 12:00pm Central Time. (Sale excludes previous orders, and pre-order items). We hope everyone has been staying warm with the weather being so bad lately in many parts of the US. Valentine's Day is right around the corner and ToyDemon is giving out some sweet discounts for Valentine's Day. From now until noon central time on Feb 18th, 2019, use the following to save sitewide. Happy New Year everyone. It's been pretty cold around here so we hope everyone is staying warm. To help heat things up a bit and to start the new year with a "Bang", ToyDemon is having a ToysHeart BOGO Sale! If you've had your eye on some ToysHeart products, this is your chance to get them at big discounts! (You can find all ToysHeart items here. )Don't miss out. Excludes previous orders, pre-orders, and other coded promotions.